Home » Blog » Blog » What is your Spirit Animal? When I was in New Zealand last December I ended up with a 24-hour bug. It was terrible, I lived in the bathroom all night (sorry TMI). What I found fascinating was that I was not alone. I beautiful light grey moth sat by my side the whole night. When my legs were turned to the left, the moth was also facing left (same with when my legs were facing right). Since then, I find myself noticing how many times moths love to be near me. I am not bothered by them, I talk to them and they simple shoo away or just hover nearby. I have decided that the Moth is my spirit animal. 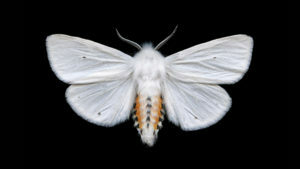 “Moths have similar animal symbolism as butterflies, but have a few distinguishing characteristics that set it far apart from its winged relative. Namely, the moth is a nocturnal creature, whereas the butterfly is diurnal. You are the most optimistic of souls! You can find the silver lining in every crisis, the light in any darkness and the love in any frustration. Your ability to seek out the positive in any situation makes you a good listener for your peers, a great peer counselor and advice giver, as well as highly sought after as a friend. A friend also pointed out: A moth spins silk cocoons which have been harvested for centuries in China. Silk is one of the most precious textiles. Both cocoons and silk are powerful symbols. All of these qualities resonate with me, especially realizing since I was young, I have been a Chameleon. I can blend in to the point of invisibility, and adapt & adjust when the situation requires it. It’s so amazing to discover parts of myself that have been in plain sight yet I haven’t really recognized until now; until creating a collages (in a leadership program) and really looking in. The intuition and determination and faith meanings most definitely resonate with me as well. Thank you for those who have read this to the end. And now I ask you, what is your spirit animal?